DESCRIPTION: The Sunset Inlet website was designed by REDdot Marketing and developed by PTC Computer Solutions. Sunset Inlet features 31 single family residences by Emerald Homes on a site that extends from the Intracoastal Waterway to the Atlantic Ocean. You can find out more by going directly to their personal website, www.sunsetinlet.com, or contact them directly at info@sunsetinlet.com or (888) 969-0056. Sunset Inlet is a community I’ve been looking at for a long time. The website design and development that PTC Computer Solutions completed for the website is outstanding. 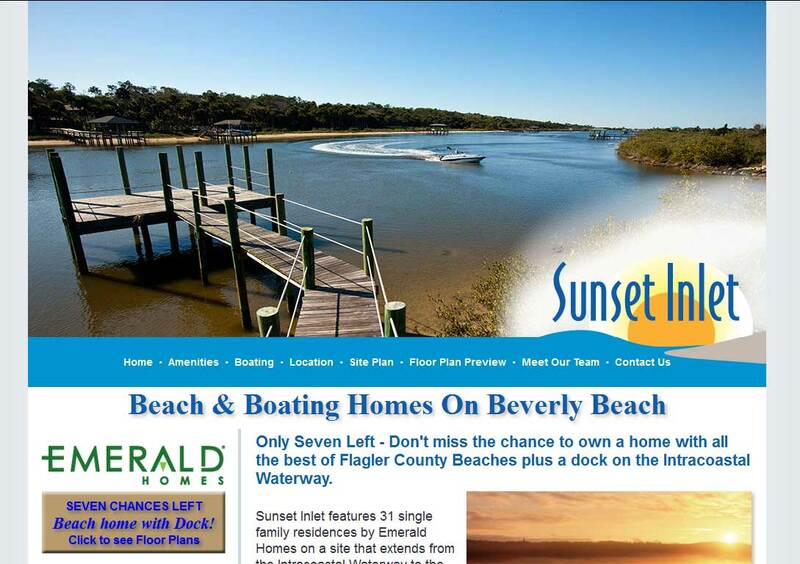 Obviously, how you do the SEO for Sunset Inlet allowed the search engines to rank your community high up there so I could find you. Thanks to the Jacksonville based web designer.